Free parking covered with solar panels. We care the environment. Swimming pools for adults and children. Solarium and Pool Bar. Hotel Fattoria Belvedere was born from the renovation of an ancient Tuscany farm. 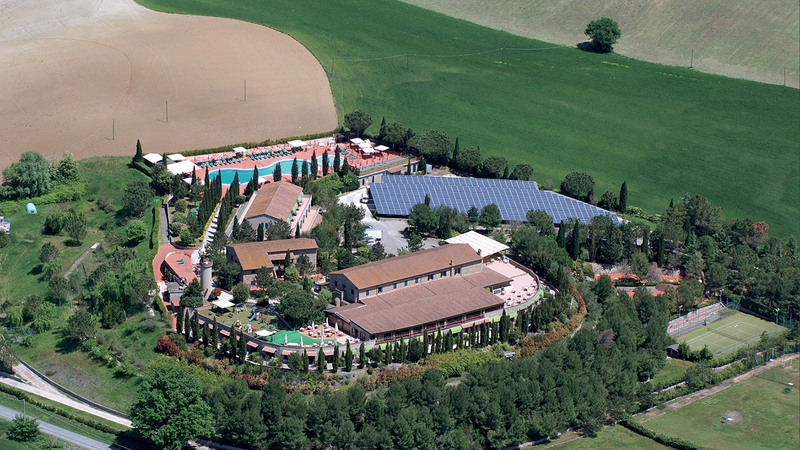 Situated on the top of a hill in the municipality of Montecatini Val di Cecina, an ancient Medieval village, immersed in the greenery of the typical Tuscan countryside, the structure is surrounded by five acres of park from which you enjoy a wonderful view of the surrounding hills. Hotel Fattoria Belvedere is composed of three independent houses: Mulino, Vecchio Frantoio and Granaio, where there are a total of 95 rooms, furnished in typical rustic Tuscan style, with solid chestnut furniture, terracotta beams and floors, for a stay in a warm, welcoming and unique atmosphere. 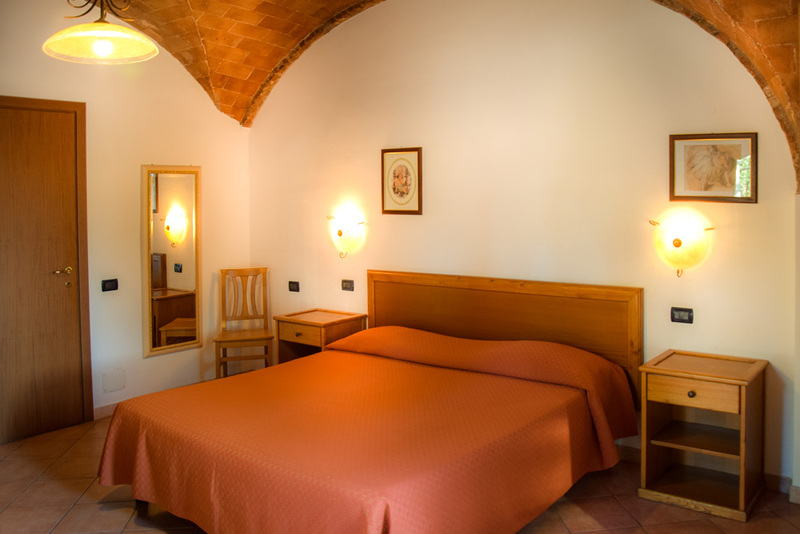 The rooms of Hotel Fattoria Belvedere, simple, fresh and equipped with every comfort, are immersed in the beautiful Tuscan countryside. Some of them enjoy a large balcony from which you can admire the beautiful panoramic view. Others have an outdoor space with tables and chairs where to relax or have small snacks and snacks with family or friends. We also have rooms for disabled people, specially designed for any kind of need to make our stay as comfortable as possible.